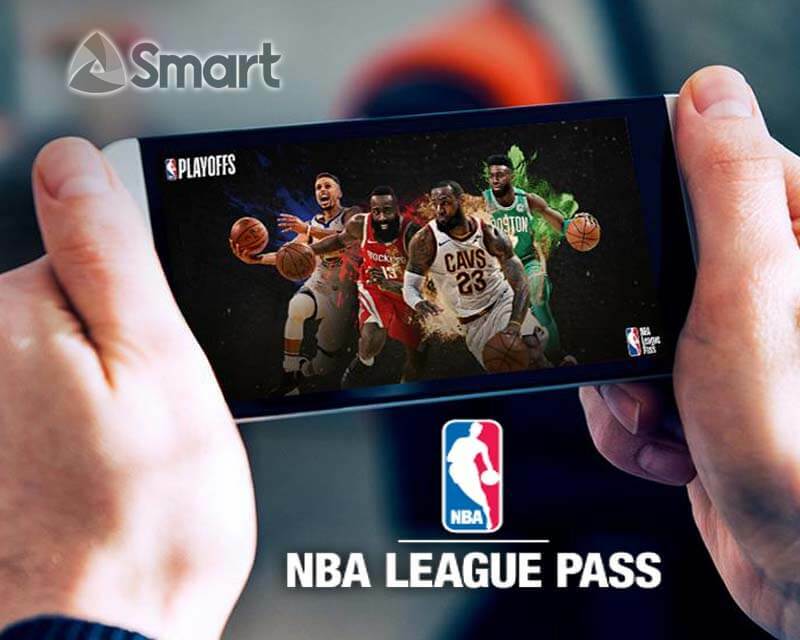 You can now watch NBA Premium live games with NBA League Pass promo offered by Smart Communications for both prepaid and postpaid subscribers. You can stream live, replay, press conferences, interviews and on-demand on your mobile and other devices for only 50 pesos with 1-day access. This is also available to PLDT Home broadband users as an additional option for your monthly subscription. You can also watch regular season games schedule, All-star, Playoffs, Finals and other content. Just download the NBA app on Google Play (Android) and iTunes (iOS App Store) while subscribing to this offer. This is the best way to watch NBA online if you do not have a credit card. Just reload your Smart Prepaid account with 50 pesos then use the keyword and the steps provided below. To avail the package, text NBA50 to 9999. An SMS notification of the voucher code will be sent upon availment of the NBA League Pass. Also, the subscriber should have an existing data package to enjoy the service or connected to a Wi-Fi network. Create or login your existing account. Enter PIN in the promotion code field. Voucher code redemption must be done through the desktop/mobile web page and until August 31, 2018. This cannot be done through the NBA app.